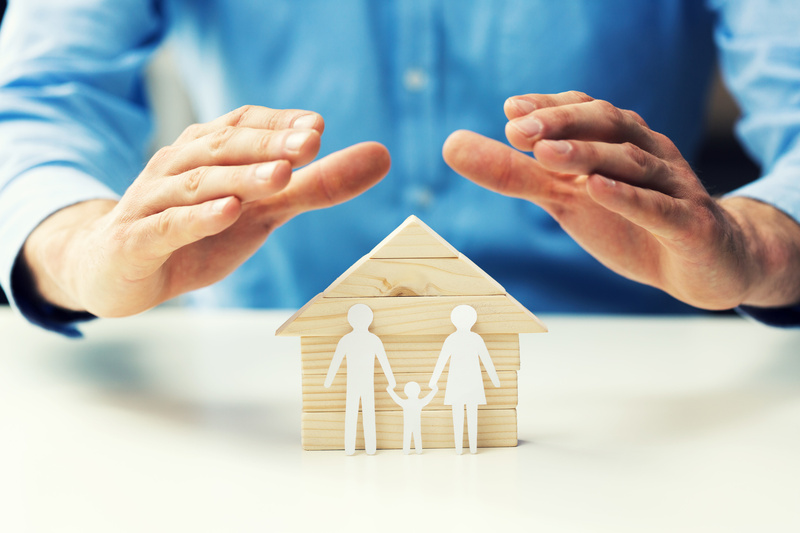 Home insurance tends to be just one more box to check off on an extremely long to-do list when buying a home. After being bombarded with down payments, closing costs, and fees when buying a home, new homeowners have a tendency to opt for the lowest possible premium. But there are a few things to know about homeowner's insurance before going this route, and thankfully they don't have anything to do with that 100-page policy full of technical jargon and subclauses. Expenses for homeowners may go far beyond the standard $1,000 deductible. There are certain major catastrophes where homeowners are expected to pay a certain percentage of the fees before their insurance will step in. The more dangerous of an area the homeowner lives in, the higher the percentage will be. For example, hurricane-prone Florida insurance companies expect homeowners to pay up to 10% of the home's total insured value first. So if the home is insured for $100,000 and the damage is $20,000, a homeowner will need to pay half of the total damages or $10,000. Some insurance companies are known to have very stringent requirements in terms of when they will pay out on damage, whether that means they will delay the process or deny claims that don't meet their criteria. It's extremely important to sign up with a company who has a good reputation, so if a homeowner finds report after report of how the insurer has been an obstacle for other homeowners, they may have a difficult time themselves should they ever need to file a claim. Practically everything about the homeownership is negotiable, so homeowners don't necessarily have to take 'no' for an answer. Being proactive when it comes to challenging a claim can make a huge difference in terms of the end result. And as you might imagine, smaller claims are easier to process than bigger claims. Not only are insurance companies more likely to pay out for claims under $5,000, they're also unlikely to hike the homeowner's rates up any higher. Even if rates do go up, it's usually only by around $100 or so a year. While calling and comparing quotes will take some time, it can pay off when it comes to how much a homeowner pays in total premiums. There's no doubt that auto insurance is a more competitive market, but there is some wiggle room when it comes to how insurance companies structure their rates. So it is possible to find a reputable company with reasonable rates if homeowners are willing to put in the effort. It's the replacement costs that homeowners need to worry about when it comes to their limits as opposed to the market value of their home. Homeowners are encouraged to ask their insurance company to come up with a customized estimate of how much it would cost to rebuild the home from scratch. If labor goes up, homeowners may want to buy extended coverage to have extra protection in place. Homeowners should also consider other limits before choosing one over the other. For example, liability limits of $100,000 may be inadequate if a mailman chooses to sue for medical damages after falling on a walkway. No matter how a homeowner chooses their insurance in their Inverness home, it's important to at least understand what they're jumping into. Asking questions and doing additional research about local risks can make it easier for homeowners to get it right.